Mediracer® Ltd was founded in 2002 to develop Point of Care products in the field of clinical neurophysiology for patient examinations adapted to the needs of primary health care. Our mission is to provide reliable and cost-effective solutions for examination of the most common peripheral nerve disorders. To fulfill our visions we are working in close collaboration with neurophysiology experts and our solutions are based on clinical studies. Quality of our solutions are proven by ISO 13485 standard and CE mark. Mediracer Ltd was founded in 2002 to develop Point of Care products in the field of clinical neurophysiology for patient examinations. Our aim is to improve reliable Carpal Tunnel Syndrome solutions examination and tools for hand doctors and physiotherapists. Reliable and cost-effective solutions for examination and quality of life by reducing waiting periods for clinics and hospitals. 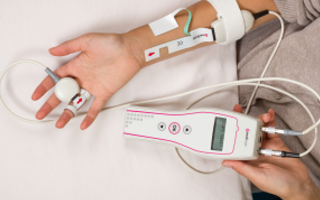 We provide accurate, easy and reliable sensory and motor nerve conduction examinations. Mediracer® NCS is clinically proven in studies conducted by neurophysiology experts. Test results can be used to determine if the finding is abnormal and severity of the neuropathy. Small, compact set of instruments that come with continued support after purchase. Satisfied customers with a swift and efficient patient treatment path. Mediracer® NCS is simple and intuitive to use. Electrodes are shaped to make it easy to place them correctly and inclusive training is provided by Mediracer® Service Center. Only non-invasive disposable surface electrodes are used. There is no question about it, our product will save you money. Savings can be as high as 70% compared to the traditional NCS. Allows to sign up local Neurophysiologist and provide scalability. By joining our consultancy service you can make yourself more reachable to clients near you. Carpal tunnel syndrome (CTS) is the most common nerve entrapment in the upper limb with the incidence of over 3% in the population. The device can be used without intensive training or degrees in neurophysiology. 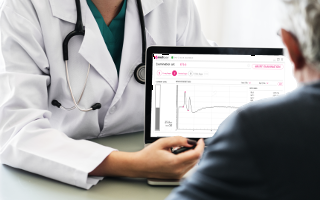 A neurophysiologist can make the diagnosis remotely over a secure internet connection.